BMW has been spotted testing a new variant of the 1 Series in its sporty M135i guise. 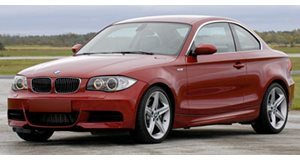 The previous M135i was a rear-wheel-drive hatchback (which is extremely uncommon in the automotive industry) but this new model will be all-wheel-drive and based on the front-wheel-drive FAAR architecture, which is also used by several Mini models. Even though we have only seen glimpses of the new 1 Series in camouflaged spy shots, BimmerFile has obtained two leaked images of the car in all of its glory before BMW wants you to see it. The car seen in the leaks is wearing a lovely shade of blue paint, which matches the car's sporty character. It looks like the full name of the car will be the 2020 BMW M135i xDrive. This will be the quickest of the upcoming 1 Series models with a 2.0-liter turbocharged four-cylinder producing 302 horsepower and 332 lb-ft of torque going out through an eight-speed automatic transmission, which is the same drivetrain found in the X2 M35i. BimmerFile says this will be the only transmission offered, so manual lovers will be out of luck with this hot hatchback. This new M135i will be down around 30 hp from the old RWD M140i but will have similar performance thanks to its AWD layout. The car is expected to hit 60 mph in less than five seconds (for reference, the heavier X2 manages a 4.9-second 0-60 time with the same drivetrain). Don't expect BMW to officially reveal the M135i until September at the 2019 Frankfurt Motor Show. The US won't receive this hatchback version of the car but we will get this drivetrain in the form of the rumored 2 Series Gran Coupe. This means the RWD 2 Series we know and love will probably be going away but at least we are getting an interesting replacement.